Welcome to our Sabillasville, Maryland page. We provide listings of: women's shelters, family shelters, transitional housing, residential treatment centers and other residential services for women. 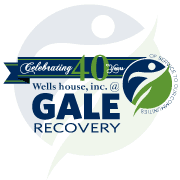 Give individuals an opportunity to develop skills necessary to maintain sobriety. Provides employment, addiction and life skills counseling enabling individuals to become productive citizens. Due to the low number of listings in Sabillasville, we have added area listings below. We had to search a 30 mile radius around Sabillasville, Maryland for women's shelters. We list the distance from Sabillasville, Maryland on each listing above.